NASCAR heads to the Midwest. 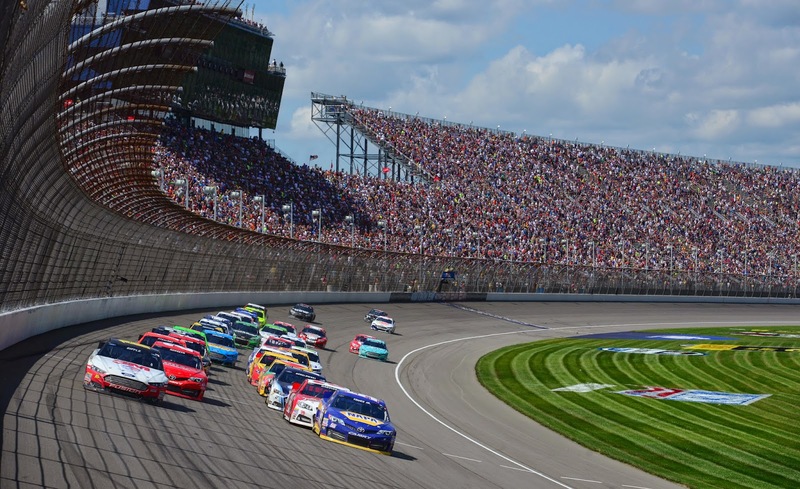 The Sprint Cup and Nationwide Series converge on Michigan International Raceway, the 2-mile superspeedway, and the Camping World Truck Series goes to Gateway Motorsports Park, the 1.25-mile short oval. The following is a handy guide to track activity this weekend at Michigan and Gateway. All times are in Eastern Standard Time. 2 p.m. NNS: Ollie's Bargain Outlet 250, ESPN. Green flag: 2:16 p.m.
8:30 p.m. NCWTS at Gateway: Drivin' for Linemen 200, FS1. Green flag: 8:48 p.m.
1 p.m. NSCS: Quicken Loans 400, TNT. Green flag: 1:16 p.m.